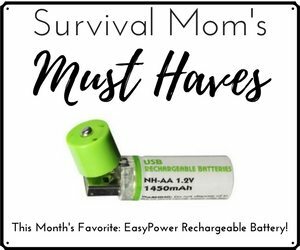 SURVIVAL MOM: I used to be a classroom teacher and can easily imagine how difficult it would be to shelter in place with 20 or 30 kids. Since your question is about talking with the administration about their emergency plans, I’ll focus on that, although I have plenty to say on the subject of kids and school safety! First, do some research and see if there isn’t already some sort of plan in place. It might be in a parents handbook or posted online. If you find something, at least you’ll know what they have probably given it some thought. Check to see how comprehensive it is. What types of emergencies does it cover? The plan should go beyond fire drills. If you can’t find a published plan, then approach the principal in a non-confrontational manner (he or she has the most difficult job on campus!) and ask about emergency plans. Refer back to this particular lock down, if you feel the need to justify your concern. Be ready to ask very specific questions about specific scenarios, including a campus shooting, natural disasters, power outages (lasting more than an hour or so), and extreme weather. What kind of security protocols do they have in place? What type of training have teachers received? How have teachers and classrooms been prepared to handle these possible scenarios? What plan is in place for ensuring that children get home safely? How will parents be notified of an emergency? You may have to volunteer to help the school put together a comprehensive emergency plan if one isn’t in place already, and you might have to gather together other concerned parents if you don’t get the information you should. By the way, it’s easy to equip a classroom to handle a lock down or some other emergency that would keep kids at school for an extended period. When I taught, we asked each family to send a box of tissues to school with their child, and that gave us plenty of Kleenex for runny noses. Parents could do the same. A few parents could send a case of water bottles (around $3-4 each), others could send non-perishable snacks, a few flashlights with batteries, and the school district could pay for an emergency toilet for each classroom. It wouldn’t take much to get the basics in place. School administrators have a lot on their plates but having a complete plan to deal with a variety of crises should be required, not an option. 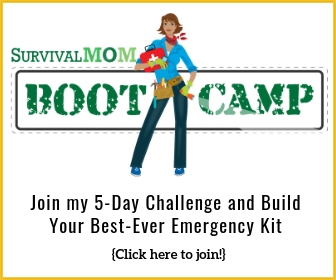 I homeschool and have just two kids at home, and there is still plenty that could go wrong! A school with hundreds of children should be ready for the unexpected. From Katie, “What is the best way to talk to family members about being prepared? My husband and are are on the road to being prepared for whatever, but I do not feel my immediate family is. We live in the country and they are in the city, so if something happened they would expect to come here. 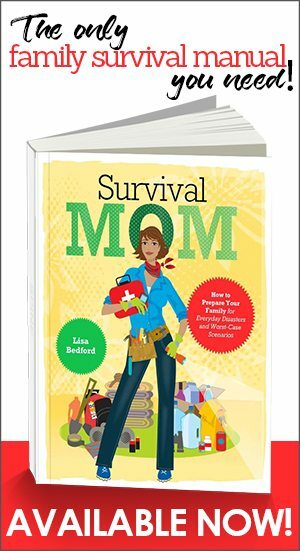 SURVIVAL MOM: This is going to be an issue for thousands and thousands of prepared people in the coming years, how to handle unprepared loved ones who need help. What if something like a Hurricane Sandy hit our area? Do you have enough food and fuel to get by for a few weeks? What do you think of the way FEMA and other government agencies are handling the Sandy crisis? Do you still feel like you can depend on the government for help? If we experienced a gasoline shortage around here, how would you get to the store or doctor’s office? Do you think it might be a good idea to store a little extra food and medication? Just in case? A lot of people don’t prepare because they don’t think anything bad will ever happen to them. That’s why so many of us don’t have wills even if we know that someday we’re going to die! Instead of expecting loved ones to become full-fledged preppers overnight (although it’s been known to happen), go for baby steps, such as extra food in the pantry, a couple of filled gasoline cans, 2 or 3 cases of bottled water. See, it’s not so much the stuff as it is the mindset. Once they begin to prepare for a small crisis, it’s really easy to suggest, “Maybe a month’s worth would be better. If FEMA can run out of water and power, so can we!” If that mindset has started to develop, going that extra step is logical. If the S hits the fan and they show up at your door with nothing, all I can say is that there will be thousands of families in your same predicament. Some will be able to turn away their own mothers, but others will say, “Come on in,” knowing it will mean less food for their own children. There is no easy answer for this dilemma other than, possibly, storing up way more than you and your household will ever need in anticipation of these visitors, and then the response needs to be, “We’ll share with you, but here are our expectations if you stay…” If it looks like that will be a likely scenario, then discuss your expectations and requirements with your husband well beforehand and make sure you’re both on the same page. Great answers, Lisa. I am a high school teacher and we have had several lockdown situations. It’s probably a little easier than elementary students. I let the kids contact their mom via their phones. For longer term problems, the school purchased survival kits that include a radio, water pouches and a bucket with a toilet seat lid. I keep a box of granola bars from Costco in my desk (holds 96). Plus, I keep another kit in my car. Only wish it was legal for teachers to carry handguns. Agreed, I was in a school shooting in highschool and our principle a marine vet. died in his wife’s arms. I’d be ok with teachers quailifing and being allowed to carry. Long ago I told people that I was prepping, to get them to do likewise. They all replied “Good! when SHTF, I’ll be coming to YOUR house!”. I was appalled; I threw OPSEC right out the window! I worked out a solution to having an influx of these lemmings; They are friends and family that will have a vested interest in keeping “outsiders” away from “their” preps(right now MY preps). Look, you can’t protect your family 24/7 by yourself, you need teamwork. You need help-THEY definitely need help! So you set up schedules- work, cooking, washing, scavenging, patrol etc.. Mainly it gives them constructive ways to while away the idle time that they would have anyway. In the unlikely event that I would have people that are unwilling to follow the rules, they get a going away present consisting of a “care package” in a cheap backpack, best wishes in their new adventures, and AMF! In the short run, I want people to remember that no matter what or how bad things were, they had a friend in me to help them in their darkest hours; For in the blink of an eye, the roles may be reversed, leaving me with hat in hand. In the long run we need to have as many people on our side as possible, so it makes good sense to help them out. Is it possible this lock-down concern gotten out of hand? I believe the term “lock down” was originally used for prisons, so it might be an appropriate way to describe our public schools. I am aware or two lock down situations in our town in S Washington State. I am a high school teacher and in the past ten years alone I have been in 5 lock downs. Two of them were because a bank was robbed at gunpoint 2 blocks away and the perp was chased onto our campus. Those were long ones. Luckily I had water and pop tarts on hand. The toilet was a waste paper basket. The other three were because of various reasons. Better safe than sorry I say. I also let my students call their parents. It was 10 years ago when my oldest was in government school for kindergarten in the Portland Oregon area. We had a really small earthquake of only a 4.0 and the school locked down. It was completely ridiculous. It was not even powerful enough to knock something off the shelf. Give me a break! All the parents whose children were in kindergarten (school ends for them at 11am) had to wait outside TWO HOURS after normal release time to get their children. Seriously?? I am SO GLAD I homeschool now. Regarding relatives: Talk to them about prepping like Lisa suggested, but make sure you tell them that you’re worried because you WISH that you could have enough supplies for everyone you love but unfortunately you can’t. Make it clear that you’re only planning on taking care of yourself and your children. Since they live in the city, it will probably be safer for them out in the country with you, but tell them to bring X amount of supplies if they plan on heading your way. Be very clear about this. No beating around the bush. We are talking about your children’s survival after all. Be careful. get approval from TPTB ,a few years ago an elementary school teacher got himself into some major hot water (I think he lost his job) when during a lock down drill he fashioned a temporary toilet using duct tape a trash bag and some kind of partition …..anyone who has kids knows that as soon as you tell them to hold it there will be some who can’t or wont…..
As you mentioned, the whole “school scenario” can play out in a variety of ways. Just this fall, a gas leak was discovered at our local high school. All of the faculty and students were evacuated to the tennis courts while the fire department tried to evaluate the situation and make the building habitable again. After nearly 2 hours, they decided it wasn’t possible to let people back in right away, so the school buses were called to take kids home. This took another extended amount of time for the buses to arrive, plus the time for the buses to drive the route back home. Now, the good things about this event were that it was a BEAUTIFUL day. Nobody was too hot or too cold, though my daughter did get a lot of sun, but not to the point of burning badly. There was an exterior building off of the courts/football field that contained bathrooms for those who needed them. I also believe there was a water fountain there as well. The tennis courts were fenced, which pretty much kept the kids contained. Some sat and chatted, while some teachers even sat down with students (honours classes) and offered to review test material for anyone who wanted to listen. The not so good things? Well, when the fire alarm went off, everyone was forced to leave immediately. My daughter tried grabbing her bag and the teacher told her she needed to leave it behind. The kids had not had lunch yet (more on this in a bit) and were not granted access to the school to pick up ANYTHING before being sent on buses. I can’t imagine what the implications of this may have been for students who were diabetic or required medications of any kind, though because the emergency was localized, I’m sure in this scenario, it would have been relatively easy to deal with these kinds of issues…in something more major, not so much. After an extended time of sitting outside and finally hearing they were getting bused home, my daughter called me on her cellphone to ask if she could bring a couple of people home with her. The reason? Neither person had family home, had no alternate way of getting into their homes, and their house keys were in backpacks trapped in the school. By the time the teens arrived here, I discovered that nobody had eaten since breakfast that morning, since the leak happened just before lunch, and everybody’s lunches were also in their school lockers. All-in-all, easy situations to remedy, the girls called family from our home until they reached somebody to let them know where they were (these were girls we knew ahead of time), and a few grilled cheese sandwiches later, everybody was happy again and hanging out until their parents could pick them up. Even with this event playing out rather smoothly, I can’t help but wonder about the “what-ifs” and how you can plan for them, especially if you can’t even carry a backpack out of your classroom with you, that could potentially contain things to help you through an “emergency,” even if it is just snacks/water, something for warmth like a windbreaker or whatever. And if you keep your emergency supplies in your locker???? Forget about it. You won’t have access to them anyway, especially during a lock down. why would patriots and preppers send their kids to gov. schools anyway? Sounds like they are stuck in stupid. I know a well informed patriot couple near me, yet they send their two grade school kids to gov. schools and attend a 501c3 IRS controlled church…hypocrites for sure. I cannot really trust them as they aren’t consistent. Check out your friends folks, are they really consistent ? if not, ditch them. Get over yourself, Laura. I’m a prepper and a good public school is not hard to find, you just need to do your research. And I couldn’t care less if you don’t consider me a “patriot”. Mainly because I’m a Libertarian and therefore not an O’Reilly groupie. Former public school teacher here. retired. IF you can homeschool—DO IT!!!!! Wouldn’t it be a better thing to have offered a PRODUCTIVE suggestion, rather than calling people stupid and ordering them to abandon friends and family? If you don’t have something useful to say, then be quiet. 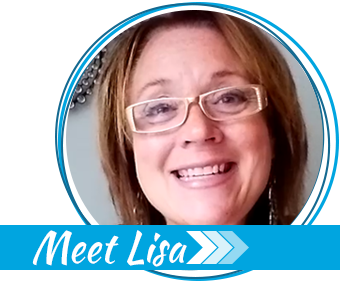 Lisa, etc: The dysfunction of gov ed effects Christian and non Christian children alike. There are private secular schools that are geared to college prep classes. There is one here with an excellent rating. There are many books exposing gov ed. Charlotte Iserbyt and other writers over several decades have written/spoken out on the subject. Also writers on Lew Rockwell and News with Views. As a retiree, my frustration is interacting with others who are younger and refuse to face facts: that the gov. is “into” everything incl light bulbs, GMA food control, and IRS control of 501 churches, Agenda 21 etc. The founding fathers did not establish gov ed. Laura, I am a rural parent that has schooled my kids to live in the real world. They were able to go to public school while being able to recognize propaganda being thrown their way. We need to enlighten our kids – I always told them to write what the teacher wants to hear without falling into the trap of believing the hype. My kids are successful – one will get his doctorate next year, one has just been offered a position even though he has one semester of college left, and the third will graduate next month with 2 majors and one minor. They are all die-hard conservatives, two deer hunt (my husband and I just target practice, we don’t hunt) and those two also have their concealed carry permits. We are learning to grow our own food and become prepared for whatever may come. We have friends and family with different opinions, but that is the real life most of us live. Thanks, Lisa. As one of those “government stooges” that has committed a considerable amount of his life to teaching such an outmoded thing as Science to 200 kids a day, it’s nice to have some backup from a parent. I have no problem with home schooling at the elementary age, but when it comes to high school, most people don’t have the qualifications to teach the subjects. Charter schools can be good, but it depends on the school. If you have a problem with the way your kids are educated, change it. Be involved. Talk to the teachers and administrators. That is the difference between a high performing school and a low performing school. I teach at a school that should be failing if you look at what we have going against us.Low parental education, high unemployment, absentee parents, high crime rates, you name it. However, our school is one of the highest performing schools in the state. Why? We get the parents involved. In response to convincing your friends and family to prep, I usually start the conversation with, “I’m an applied mathematician. My job is to build models to help determine how to best handle complex situations. When I think about ‘prepping’ it is pretty simple to see the rationale. Name for me a 100 year period of time any where in the world where some sort of rationing/extreme hardship did not exist.” You may not need your preps last year, this year or next. But the chances of needing preps sometime in your life is greater than never needing preps. Turkeys also think that life is great…until Thanksgiving. Don’t be a Turkey. I am from the area of NY/NJ most hard hit by Superstorm Sandy and during this disaster we shared gasoline, food and our home with neighbors who had children and the elderly. We have solar power backup so we didn’t need a lot of extra gas. My husband saw our neighbor trying to leave for gas only to be turned back because of downed trees and wires. He offered our gas to him for his generator that was keeping his house from flooding. He didn’t charge him and our neighbor returned the gas the next day. My point is that sharing and caring about people is a disaster works better than constantly declaring “Get yer own!” I read a lot of prepper “talk” from people who have never yet had to put those skills to the test in an actual emergency. Well, I’ve gone through two major hurricanes and a nor’easter in a little under 1 year. I’ve dealt with a few floods too. We were prepared but we also lent aid and support to others. Remember a closed hand is also closed to receive. Not trying to preach but I think I have the street creds to know what it’s really like to put survival skills to the test in a real life catastrophe. I’m still living it because my area remains a disaster designation. I like the cute Survivor Mom TM and Survivor Jane TM illustrations but I would really love to see an actual photo of you somewhere. Mine is posted at my website so people will see who is giving them advice. Thanks, keep up the spirit. To the teacher who allows students to call parents during a lockdown: Please don’t. Parents who know their child is in a lockdown will often go to the scene, causing even more problems for those trying to respond to the situation. More extreme parents — those demanding to get to their child or get their child out NOW — put themselves and others in harm’s way (and draw resources away from the solution). Students also Tweet and post to other social media the most extreme version of the rumors flying at the moment, which exacerbates the situation. (I know of one instance when off-campus friends tried to sneak onto the locked-down high school campus to comfort their friends inside.) Outsider behavior has become such an issue in my area (suburbs, not urban area) that teachers now must collect all cell phones when the schools go into lockdown mode. I’ve found letting the kids (high schoolers) call mommy usually keeps mommy away. The parents know they are alright instead of having to “break into the schoo”l to make sure. BTW, in an unrelated topic, 90% of the time I take a phone away from a student for texting during class, they are talking to their mommies. Not drug dealers or drivers for their getaway.